(Newser) – If you want to help Indian women stay safe, one overture that won't be embraced is giving them a curfew. That's what one politician has discovered after his remarks following what one woman says was her near-kidnapping. 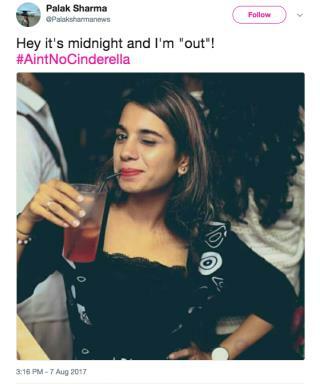 Per the BBC, DJ Varnika Kundu was driving home Friday night just after midnight when she was allegedly chased by two men in an SUV. She described what she says was a stalking ordeal on Facebook, which ended in the arrest of two men, including the son of a prominent BJP politician. "I'm … lucky, because I'm not lying raped and murdered in a ditch somewhere," she wrote online. Enter another BJP pol, Ramveer Bhatti, who told CNN-News 18 that maybe Kundu should bear some responsibility. "The girl should not have gone out at 12 in the night," he said of the 29-year-old. "Why was she driving so late in the night?" This is why every woman should be armed; maybe a nice little auto and have the gun classes with the permit, etc. On other hand, husband is the best backup via phone. Wife uses that method routinely. It's 'Depressing' but India is no different from Liberal U.S.A. in calling for a curfew for women in order to end assaults on them. The Liberals in the U.S. do much the same thing when it comes to crimes of violence, drug abuse, illegal immigration, etc. Instead of getting tough on the perp's the Liberals make things tough on law abiding Americans to change the complexion of crime. She should be thankful they even let her drive.